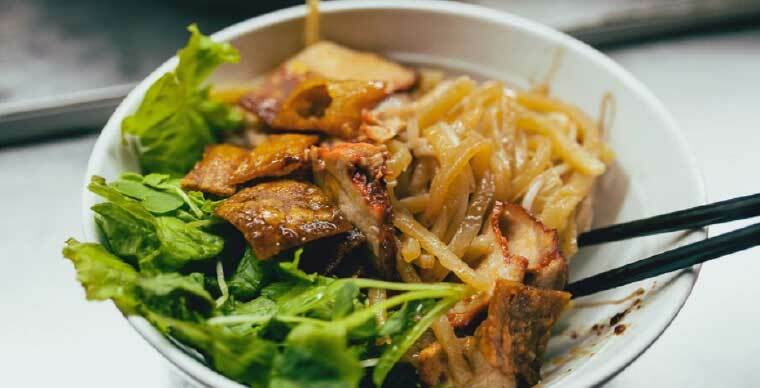 So, what is Cao lau? 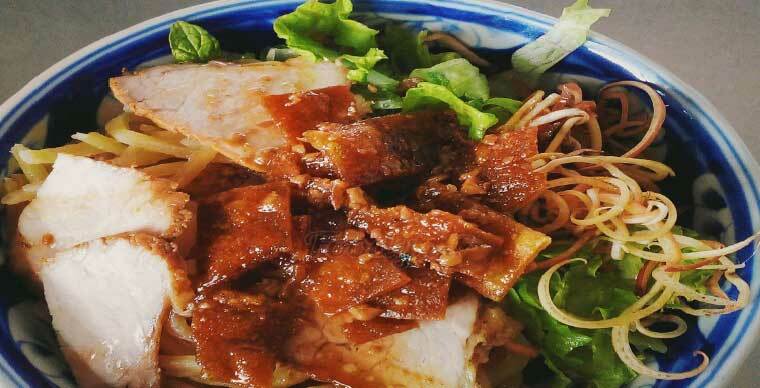 It is a kind of noodles that has been considered as a specialty of Hoi An town for decays. 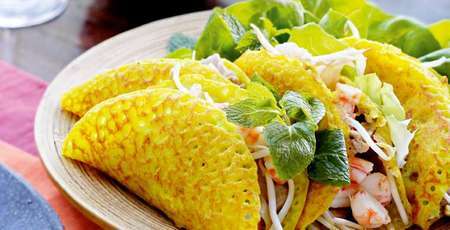 Cao lau has a golden colour that looks beautiful with shrimp, pork, herbs and vegetables. 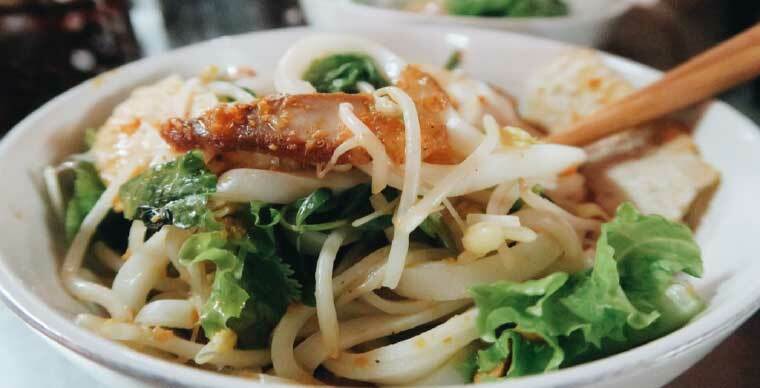 Just like Quang style noodles, Cao lau is eaten with just very little broth. A special feature of the Cao lauis the noodles, which are mixed with the ash of burnt wood taken from the Cham island. 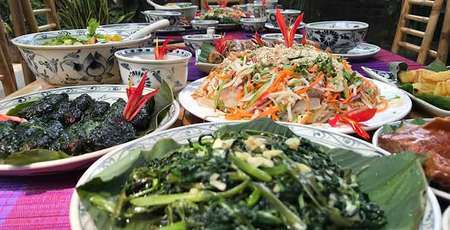 The origin of the name "Cao Lau"
Cao lau (literally means High floor) has appeared in the old town from the 17th century when Hoi An port was unblocked and Lord Nguyen allowed foreign merchant ships to trade here. Although the Japanese had been in Hoi An before, the new Chinese were the earliest inhabitants of this ancient land. 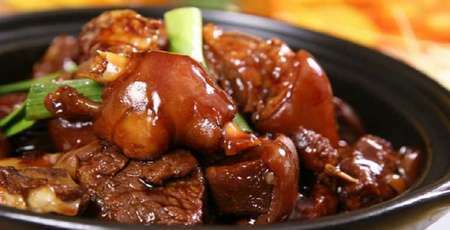 Cao lau is usually sold in a two-story restaurant, on which hang red lanterns where dinners can enjoy the delicate aroma of the dish as well as the ancient atmosphere the city carries. 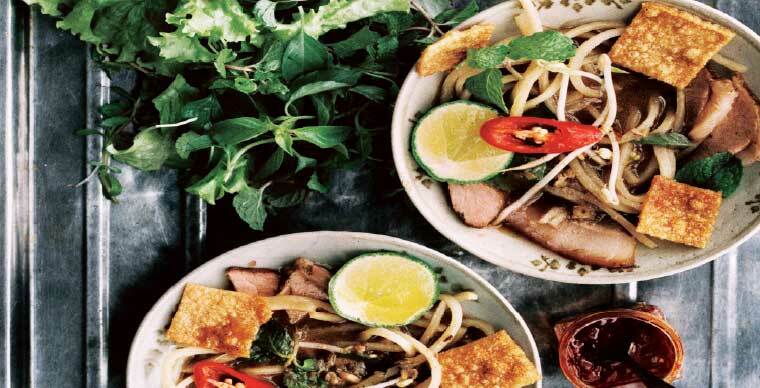 Although having some similarities with Quang style noodles, Cao lau is a much more elaborate dish. 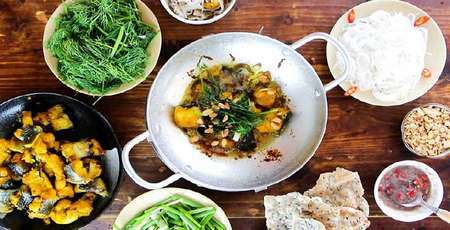 To achieve the golden colour as well as the tenderness and toughness needed, the chef needs to use ash water from the burnt wood in Cu Lao Cham to soak the noodles in. The water must be from only Ba Le well, a well that’s well known for its non-alum, and fresh water. 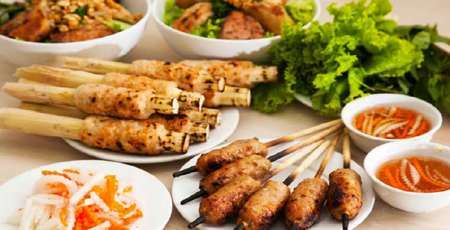 To embellish the food, people usually add some pigskin or square fried cao lau to the dish. Cao lau doesn’t have broth, but rather flesh and cao lau sauce. To raise the flavor of the dish, people also add roasted peanuts. 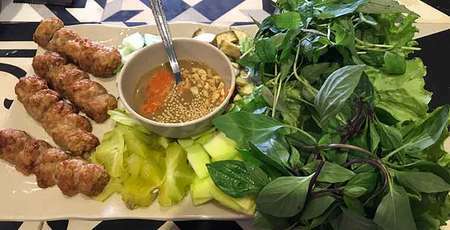 Once in Hoi An, to truly feel the ancient town, go and enjoy a hot bowl of Cao lau you will see the quintessence of this ancient land.